Begin your website redesign project, with this step-by-step checklist for how to tackle a redesign without hurting search engine optimization (SEO) or your conversion rates. Learn our top design predictions for next year and our recommendations on the redesign. Two thousand nineteen could be the year your website sets a new business record. ’Tis the season … to think about how much better your website could be in 2019. Start planning your New Year’s resolution now with big ideas for how to revamp your existing business site. Get a jump-start on development processes such as website tracking and analytics to start shaping the website of the future. Website redesign starts with your existing site. There are probably some areas where your website is strong and others that need reworking. Check your key performance indicators to see how you’re doing. Focus on things such as bounce rate, where you’re losing users, shopping cart abandonment, and conversion rates. If you aren’t sure how to successfully analyze your website, hire a professional to do it for you. This is an important step in the redesign process, as you need to see where you’re going wrong and brainstorm ways to reverse the trend. While you need to stay on top on various key performance indicators for the best website performance possible, it’s important not to spread your efforts too thinly. It’s better to identify the areas of your website that need the most attention first than to try and manage a complete overhaul all at once. For example, if you’re not sure whether your bounce rate is having more of an impact on your bottom line than your abandoned cart rate, it may be worth doing some A/B testing to figure out which area will lead to the most overall improvement and focus your efforts there first. Before you immerse yourself in the redesign process, you’ll need to ensure your current site remains up and running. This will prevent business losses as well as damage to your carefully cultivated SEO. One of the simplest ways to do this is to copy your existing website and set it up at a temporary URL. Then, make changes and updates to your site from the temporary URL. Once you finish, you can switch the domain and let your new site replace the old. Working with a developer can also help you redesign without hurting business. Next, identify the goals for your project. Why are you redesigning your website? Perhaps you’ve noticed clickthrough rates lagging in the past few months, or maybe everything seems fine with your existing site, but you want to make sure you’re ahead of the curve on upcoming trends for the New Year. Discuss with your team what you need your website to do in 2019. For example, you may want to prioritize user experience personalization to make deeper, more engaging connections with your customers. Mapping out your goals ahead of time can make for a seamless project later. Identifying your goals also means keeping them in check and realistic. Be wary of “scope creep,” or the tendency many projects have of increasing their scope over time as new variables come to light. Once you start mapping the most important goals for your site, you’ll start recognizing which areas of it need the most attention. Address these issues before moving on to work on your next performance goal, otherwise you risk having those same issues crop up in the future in more troublesome ways. Once you’re ready to tweak your old site for something brand new, begin brainstorming the changes you want. Start by researching upcoming digital trends for 2019. Find out what tomorrow’s users are craving in a company and website. Look at innovative marketing techniques, the latest list of Google algorithm updates, current SEO best practices, and new keywords for inspiration for your redesign. Check out your competitor’s websites. What do you like? What don’t you like? Make a list of everything you’d like to see on your redesigned website. Then, find a developer that can make it come to life. While it’s important to stay relevant and competitive, you need to avoid blending in with the crowd when it comes to trends. Remember: Modern consumers value authenticity more than almost anything else, so don’t let your brand lose its personality for the sake of pursuing the latest design trend. In some cases, less is definitely more. A dedicated consumer base will enjoy (and respect) your brand more for small, functional changes that offer value over a fresh coat of paint that mimics what other sites are doing. Now you’ll really dive into the redesign process. You will complete project planning and begin your user experience/user interface (UX/UI) redesign processes. This may include making aesthetic changes, updating outdated content, refreshing keywords, checking and replacing links, replacing old images, or making larger changes like total rebranding or migrating to a different host. 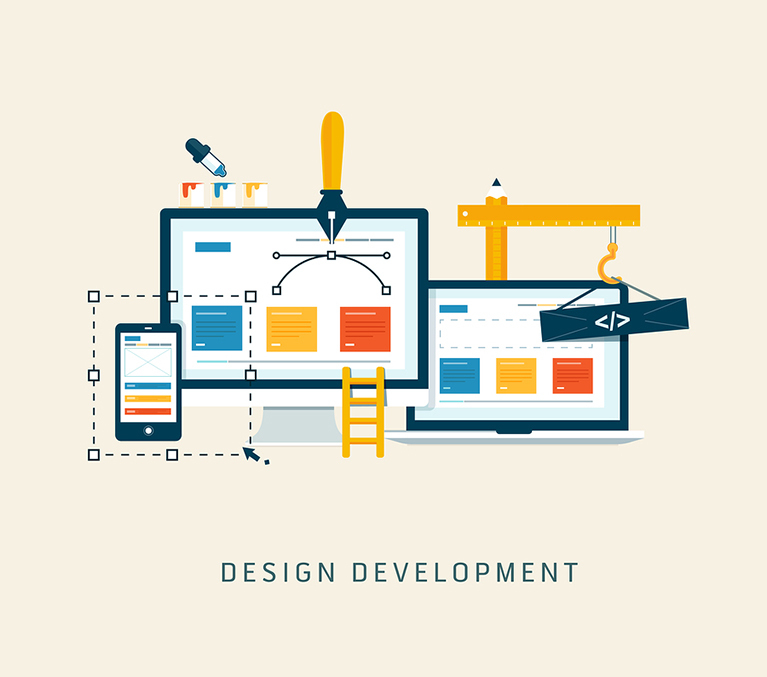 Develop your redesigned site with help from a professional to make your project fun and easy. A full website redesign may be an exciting and refreshing change of pace, but keep in mind that it is not necessary to reinvent the wheel. You want to avoid disrupting your consumers’ expectations of your brand and offer them valuable changes instead. Focus on functional changes that enhance users’ experiences before anything else and save the aesthetic overhauls for last. Responsive design has been the mantra of web developers and designers for years, and it is essential to keep responsiveness a focal point of your web design efforts for 2019. As the name suggests, responsive design changes in response to the device used to view a website. Layout, image scaling, text, and ad placement shift for easier viewing on desktop monitors, tablet screens, and smartphones. The mobile market continues to grow, and if you have had trouble capturing a mobile audience in previous years, 2019 could be the time you finally find a solution that works for your consumer base with smart, responsive design. 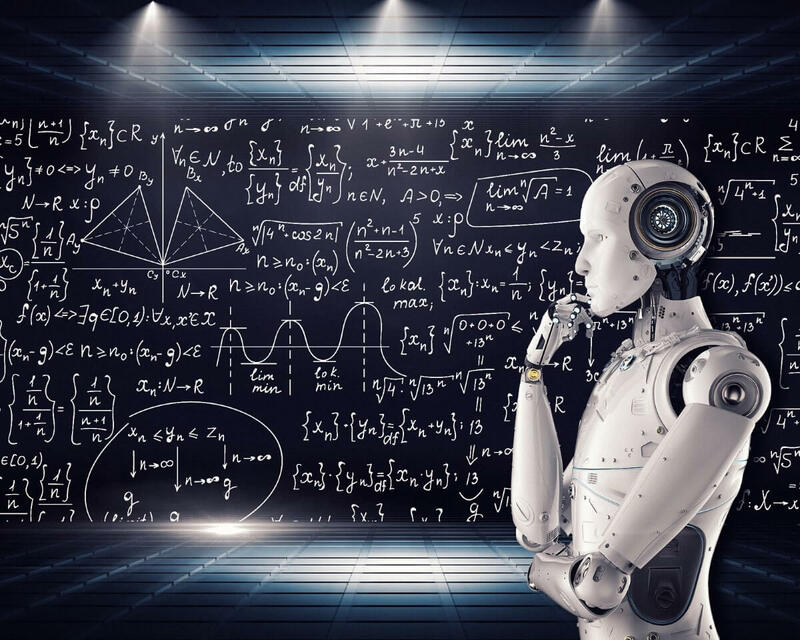 Tech giants Amazon and Google are spearheading the machine learning and artificial intelligence sectors, but that doesn’t mean that your site can’t benefit from these New Age concepts. Data drives modern businesses, and the data your site collects from users is far more valuable than you might believe. Working with a professional web designer is a great way to learn more about the ways data benefits your brand, and modern design firms may have more machine learning capability than you expect. Machine learning allows you to extrapolate the most significant data trends from your user data more quickly than human analysts ever could. Don’t leave out website optimization during the redesign. Once you’ve revamped or replaced the elements on your existing site, spend time optimizing everything. Research the predictions for SEO in 2019 to steer your efforts in the right direction. These include in-depth content, mobile-first designs, video integration, and optimizing for voice search. Keep up with the latest SEO best practices to make sure you beat the competition in the search engine results pages (SERP). Then, you’re ready for testing. Remember that SEO is not a “set it and forget it” line of work; you need to be constantly checking how effective your SEO practices are and making adjustments when necessary. You may want to do some testing with different sets of SEO parameters to find out which one works best but remember that it may only work best for now; vigilance and close attention to changing trends are some of the best ways to stay on top of your SEO needs. Accelerated Mobile Pages (AMP) is definitely important. And in 2019, it must be necessary for each and every website. 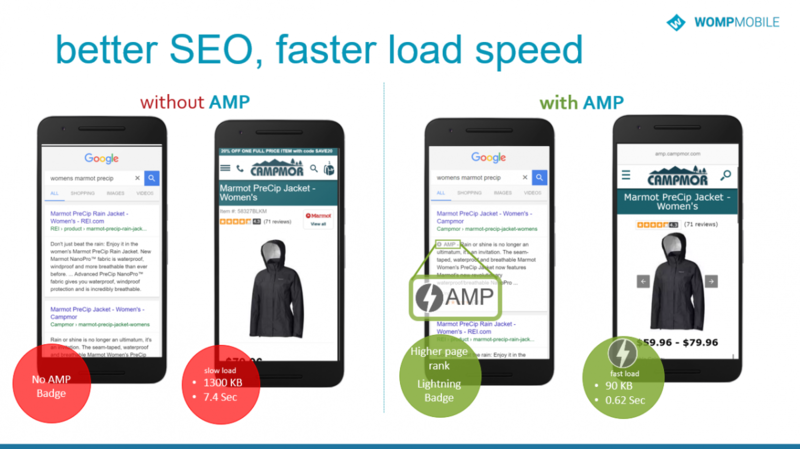 And AMP is playing the key role in “Mobile First Indexing”. It might become also one of the ranking factor of Google. You have to must include Accelerated mobile pages in your web design checklist. If you include AMP in your website then it will definitely help you for better ranking for mobile search. Test your redesigned website now, after launch, and for several months following launch to make small changes for optimization. Again, a developer can help you with quality assurance testing if you have never done it before. You will need to finish all redesign work, check everything, and prepare your technical staff to quickly fix potential bugs and issues upon launch. Once you launch your shiny new website, use tracking methods to see how it’s performing. Make sure you give users an easy way to report errors to your team. Track user behaviors on your new site, see where you’re losing people, make changes, and repeat. Website redesign in 2019 takes a great deal of technical prowess. You need to be on top of changing trends, keep an eye on the competition, and revamp your website in a way that will translate into measurable results for your business. If this sounds like a dramatic undertaking, that’s because it is, and you may need to accept that your in-house web design team may be underequipped for the full scope of the overhaul your site needs to succeed in 2019 and beyond. There are many benefits to working with a professional website designer. It’s also possible to manage the cost of professional services by scaling your need with a professional’s offered services. A good professional website design firm should offer a wide range of services scalable to your needs. 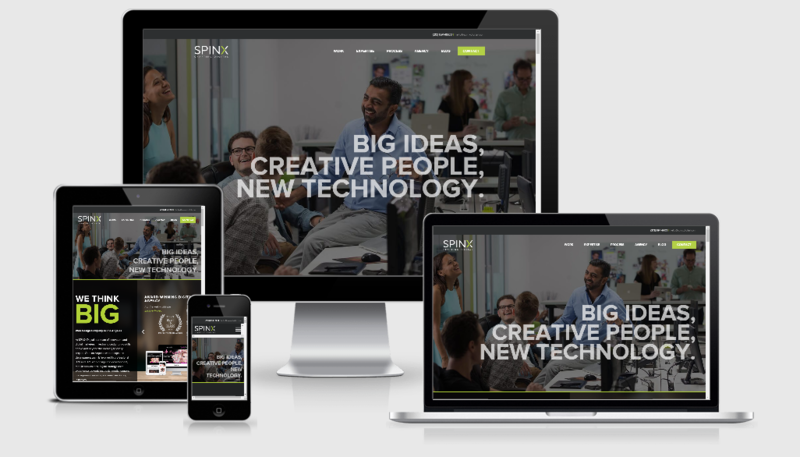 If you want your business to reach new heights in the New Year, contact SPINX for the professional website redesign.